Looking at the large map displayed on a billboard at the bus station, I noticed a small village called Ibrahimpasa. 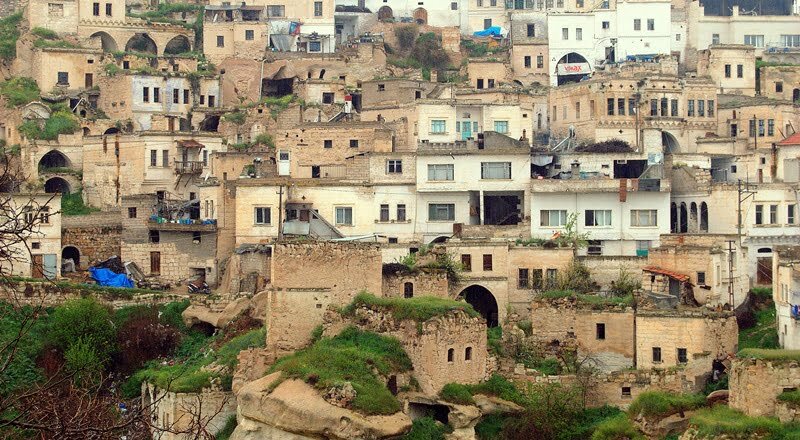 Figuring it might be similar to the old Greek village of nearby Mustafapasa, I decided to visit. Groaning inwardly when the bus driver said I would need to change buses twice to get there, I decided instead to bargain with the taxi drivers that had a rank in Goreme bus station. The boss, who was extremely proud that his nickname was Black Snake, (I jest you not. It was even written on his business card) gave me a good price for a return journey. He instructed his son, who looked like he had only just passed his driving test to take me. As with any Turkish taxi driver, the journey was one that required me to hold onto the dashboard. I promised myself that upon returning back home, I would get a will drawn up before I did anymore travelling. The taxi driver parked in the centre of the village, and apart from 4 old men sitting outside the decrepit tea shop and a rusty van selling mouldy fruit and vegetables, there was no-one around. 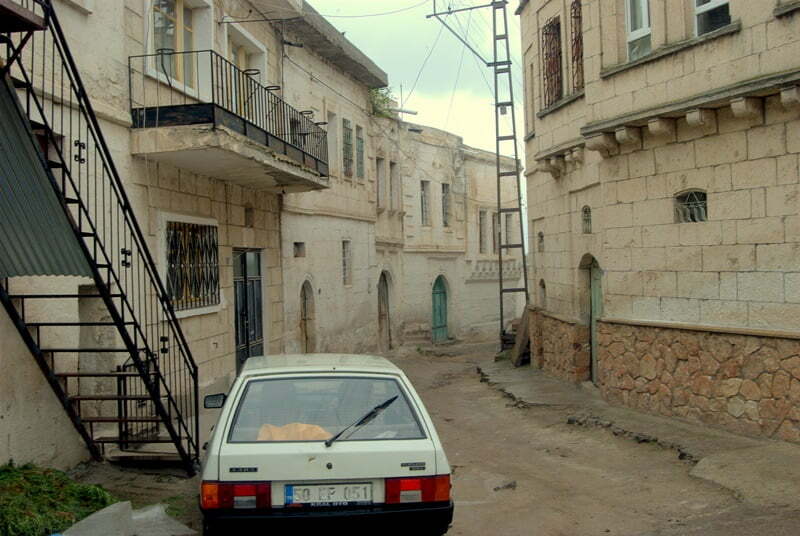 Unlike Mustafapasa, it was deserted and devoid of tourists.Even as I walked the cobbled streets in between old ruined houses, I never met one person. 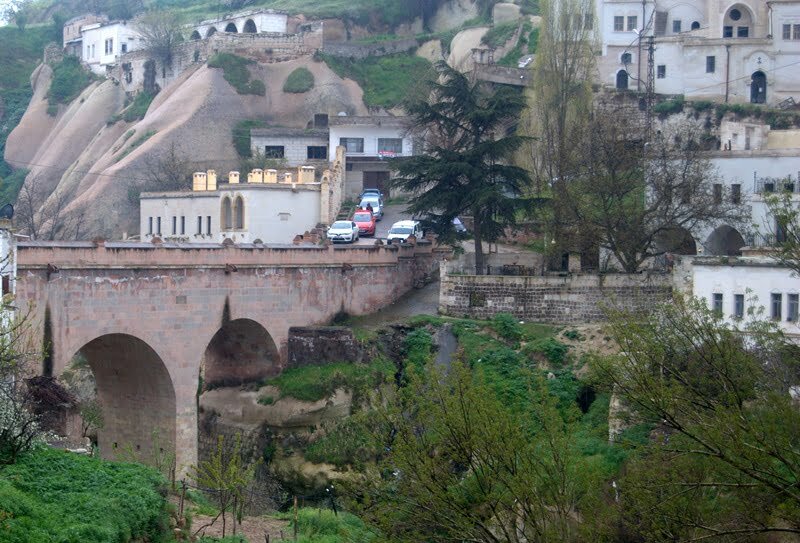 Ibrahimpasa has much the same historical background as many small villages of Turkey. Before the 1920s, it had a thriving community of Greeks and Turks. Obviously over the years, residents have left and most of the houses have crumbled. Showing signs of neglect, in some cases, I peered into what was someone’s living room. Walking past front doors with peeled paint, my only company was a street cat who seemed intent on showing me the way to the bottom of the valley. I passed one house and was surprised to see expensive looking cars parked outside. 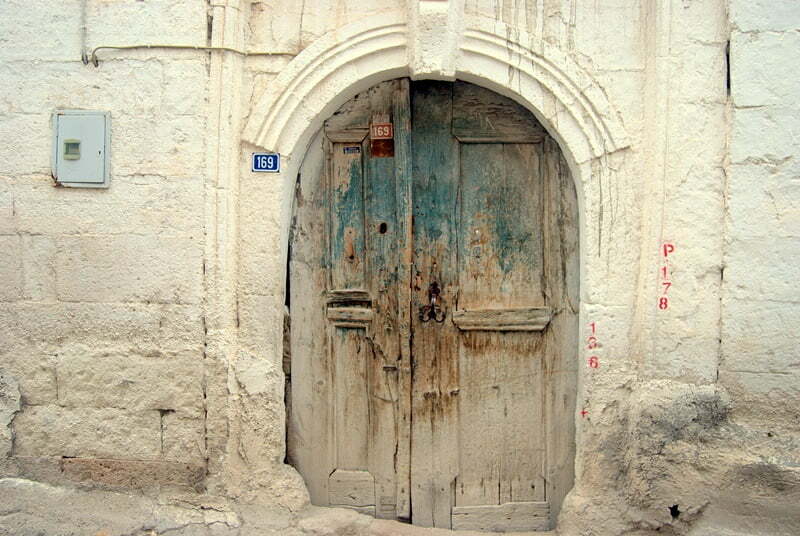 A tall wall and iron gate prevented me from seeing the garden but I wondered if it was the start of a trend to renovate the old houses as second-holiday homes for Turks from the big cities. Eventually, the old cobbled streets led to a bridge, crossing over the valley. It was then that I saw a local man who was quite surprised to see a foreign tourist wandering around their village. Informing me that the bridge I had just crossed dated from the Ottoman era (I highly doubt it), he also said had I come last year, I would have seen inside the old Greek church. It is closed now since the call for Christian worshiping places is not exactly in demand. In retrospect, visiting Ibrahimpasa was a waste of time. Half the village is deserted and the other half is asleep (no disrespect to old people.) 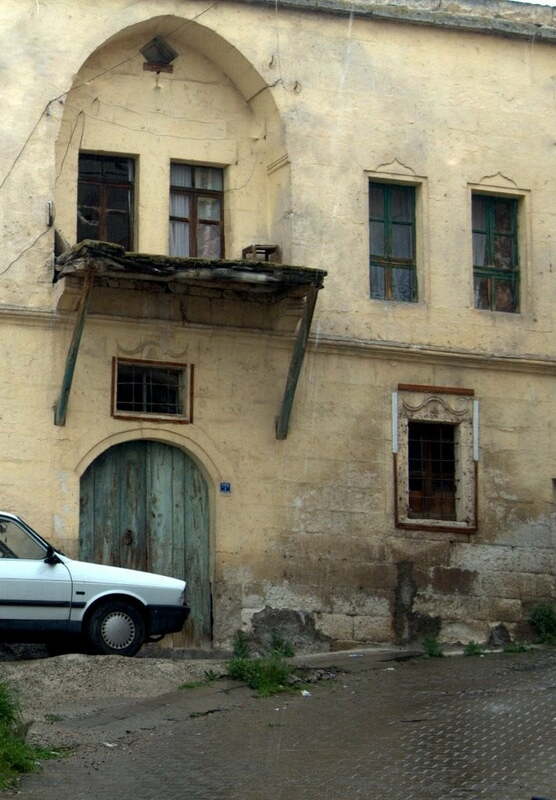 It tells much the same story as thousands of other small villages throughout Turkey and the only question I’m left with, is if it will still be around in 20 years time.